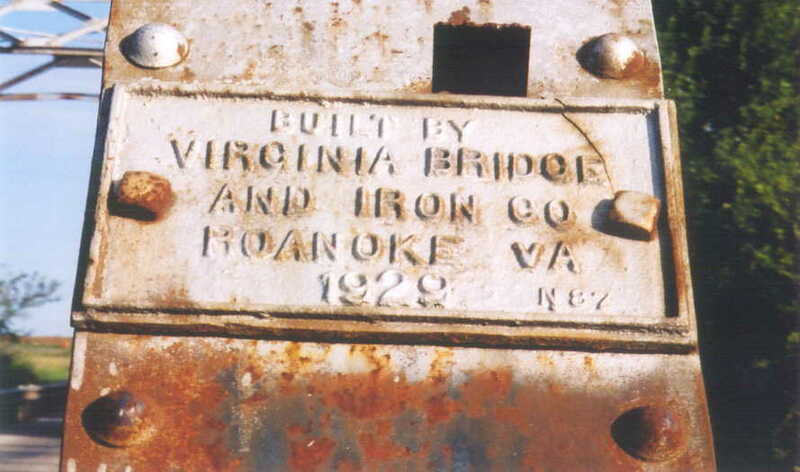 This 140' span was built in 1929 by the Virginia Bridge and Iron Co, of Roanoke, VA. 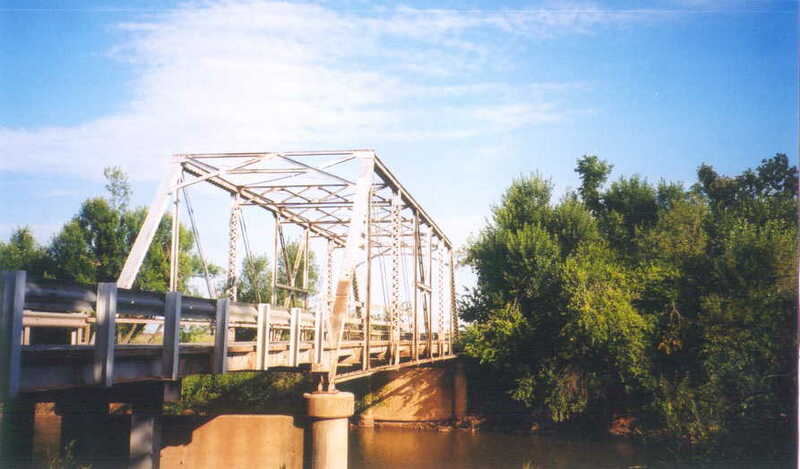 It is a combination pinned and riveted Pratt truss with many design elements that were standardized in later years. In the above photo you can see that the channel portion of the lower chord has been smashed in by high water debris. The lower chord in the middle three panels is made up of 2 eye bars in each panel. 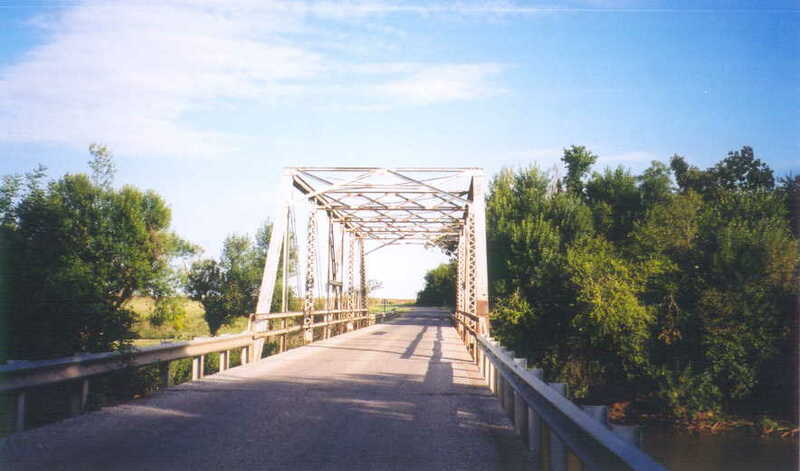 This bridge is the last bridge to cross Kingfisher creek before it dumps into the Cimarron River. A view thru the bridge. The approach spans at either end are not likely original and appear to have been rebuilt at some time.